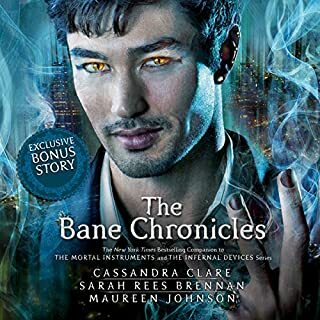 Making things even more complicated, Julian's brother, Mark - who was captured by the faeries five years ago - has been returned as a bargaining chip. 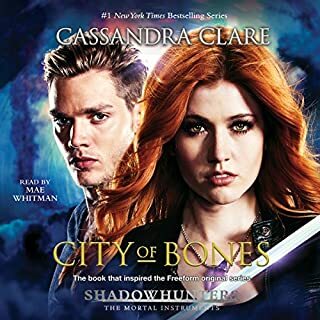 The faeries are desperate to find out who is murdering their kind - and they need the Shadowhunters' help to do it. But time works differently in faerie, so Mark has barely aged and doesn't recognize his family. Can he ever truly return to them? Will the faeries really allow it? 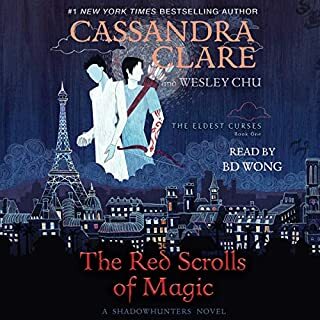 ©2016 Cassandra Clare (P)2016 Simon & Schuster, Inc.
First I have to say that Morena Baccarin, as much as I love her as an actor, I did not love her narration of this book. It was to mono-toned and she didn't grasp or create different characters for me. She was just the same voice for everyone. That takes away from a book. So, this book could have been more awesome, with a really good narrator...even two. With that, this is still a great book, Cassandra still delivers us great Nephalem story lines and new characters. The book introduces several so you know your not going to be stuck on just one plot line here. What I hate... that I am going to have to wait probably a whole year for the next book. Booo! Loved it! 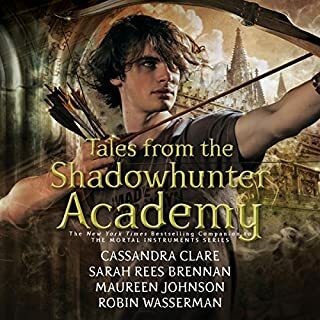 I would recommend reading The Bane Chronicles and the Shadowhunter Academy series first as they have clues that give context to some parts. However it is still a great story. ...then you'll love this story extension. Very well read by Morena Baccarin. A fun addictive book that had me up late at night unable to turn it off. 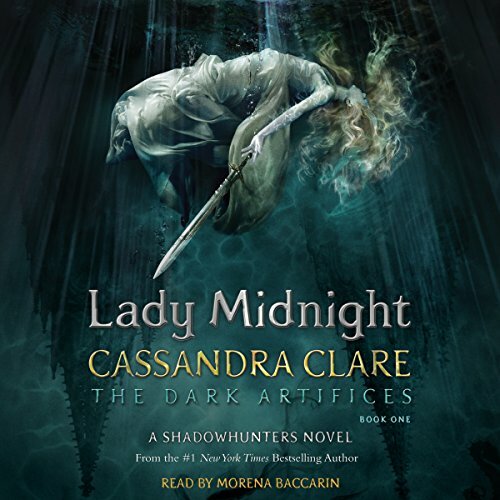 This is the my favorite beginning to a series of all of Cassandra Clare's books. It is well developed and opens up so many story lines for it to continue. I can't wait for the next one! Something has changed in the writing style of these books. There's a repetition in the wording that becomes distracting. Story is okay. Doesn't have the depth of development you see in the City books, but a good read. I kept feeling as though the author was determined to leave nothing to the readers' imagination. I enjoyed this book. I was not a big fan of the Mortal Instruments series and only read the first Mortal Instruments book. Before starting this book I was worried that I would be lost since I haven’t read any of the other previous books but this book had such a high rating I figured I would give it a try. If you haven’t read any of the previous books you should know the basics of the shadow hunter world in order to be able to follow this book. 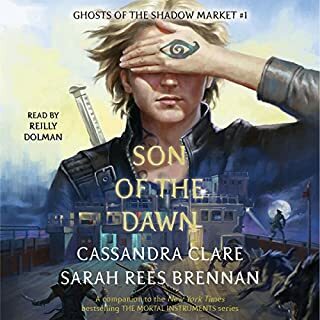 The book does a great job with giving you a history of the Clave, Shadow Hunters and downworlders. This book starts out really slow. Mostly because it goes over the history and the Dark War and the Cold Peace. Once it gets past the back story this book really takes off. It wasn’t until the half way point that I felt I was hooked. The last half takes you on an up and down roller coaster of emotions and then it just ends and you are left wanting more. The only thing I would change is Julian. I think he could have been a little stronger character and a little less love struck. Overall I think all of the characters were well rounded and likable. 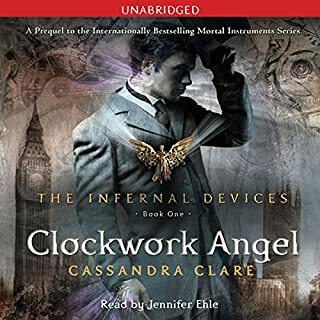 I would recommend this book to anyone who is a fan of Cassandra Clare’s work. The story line and references to previous series were all great but the narrator left much to be desired. She was distracting, making it difficult to just get lost in the story. Sometimes she read too fast, sometimes she had a strong accent - just not very well done. The book is likely excellent. I'd tell you more if it was possible to stand listening to this person read. It is so bad that I intend to purchase the book on kindle so I can read it myself. Definitely not a book to listen to in the car or while doing chores/errands. Especially if it is an errand you do not particularly enjoy, leave this audiobook alone! The way she reads will make you hate anything you are doing that you dislike even more. It's like washing dirty dishes while listening to people run their nails over a chalkboard as a baby cries in the background. Avoid, avoid, avoid. You are welcome.